in a relaxed setting to create quality cards and/or gifts. We create greeting cards, gifts, or gift bags. We make new projects each week! 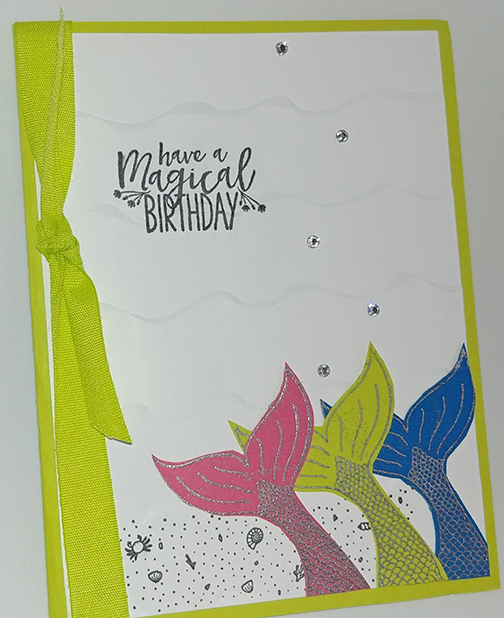 Beautiful, quality materials, including cardstock, decorative papers, stamps, inks, embossing products, die cuts and accessories are included in the $10 price of the class. We also have classes at the Titusville Public Library on two Wednesdays a month and at the Cocoa Beach Library one Wednesday a month. Call Ree for details!